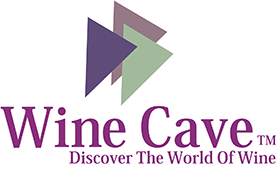 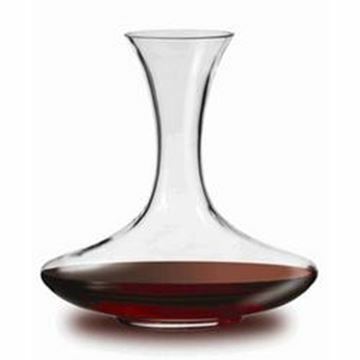 Wine enthusiasts are all too familiar with the pesky problem of drops of red wine running down the outside of a decanting carafe creating unsightly stains. 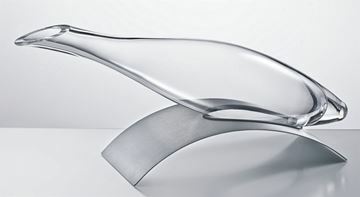 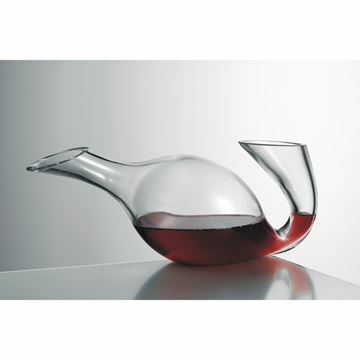 Inspired by the natural water repelling properties of the lotus leaf, Eisch developed the No Drop Effect© for decanters. 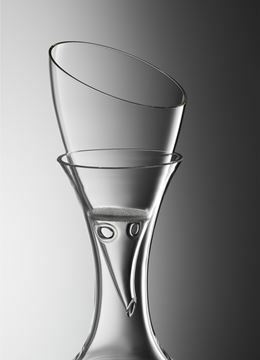 The Eisch No Drop© Effect is a special treatment of decanters which inhibits droplets from running down the outside of carafes. 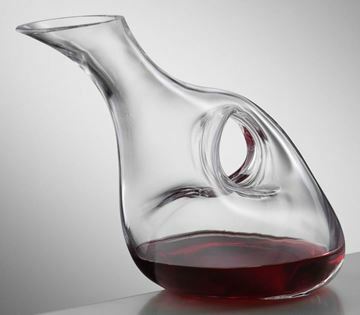 Droplets formed while pouring gather at the rim of the carafe and roll back into the carafe, saving table clothes and table tops from unsightly stains. 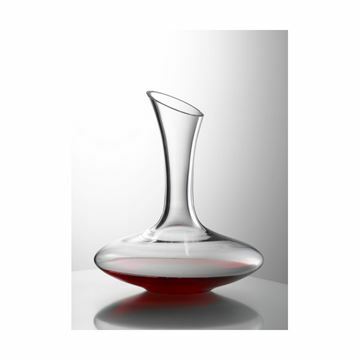 Made of lead-free crystal, the intricately designed Eisch No Drop Decanters add a level of functional sophistication to any table. 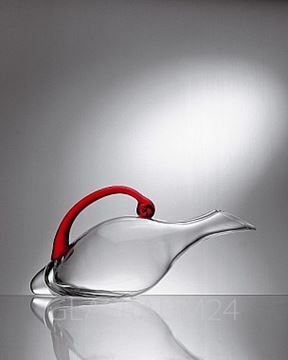 (725.16)Duck Decanter with NO DROP EFFECT© is based on a special treatment of the glass surface which permanently prevents drops from running down the outside of carafes and duck decanter. 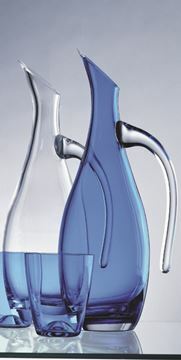 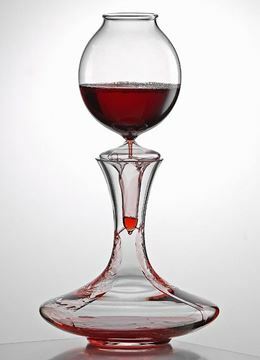 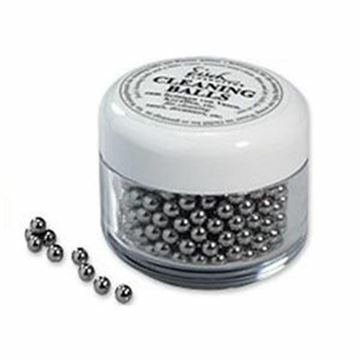 No Drip Effect, Specially treated rim to inhibit wine drops from beading down the outside of the carafe. 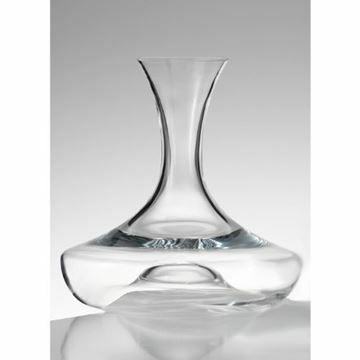 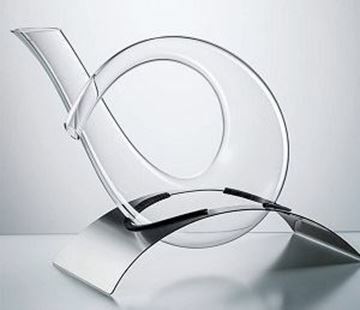 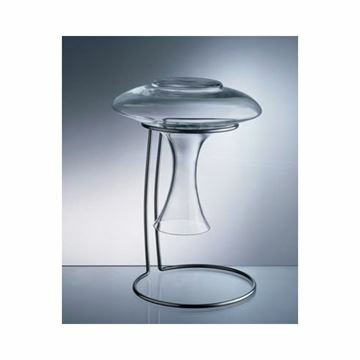 (755.15)This alluring piece marries the fine engineering of Eisch glassware with sophisticated modern style. 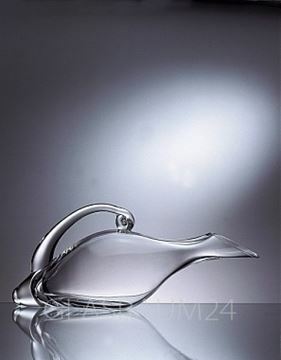 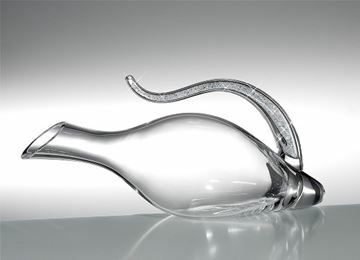 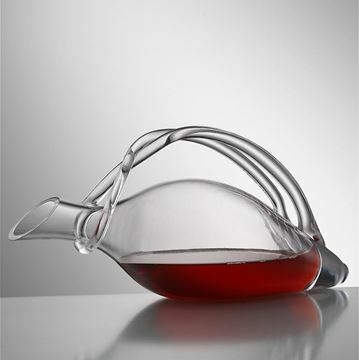 Eisch Duck Crystal wine Decanter - "No Drop Effect" with twisted handle. 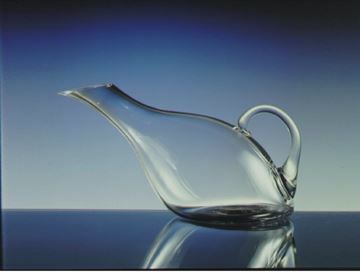 26 oz. 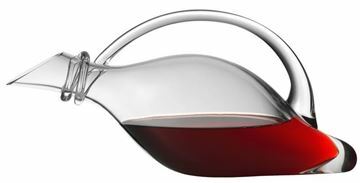 (740.80)This crystal Grande Aroma Aerating Funnel will held the entire 750ml bottle of wine and will decant to decanter in slow paste speed, which allow the wine to aerated wile transferring the wine to decanter. 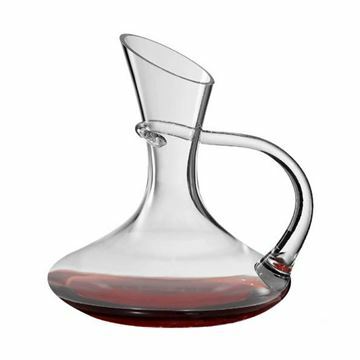 This crystal Grande Aroma Aerating Funnel will held the entire 750ml bottle of wine and will decant to decanter in slow paste speed, which allow the wine to aerated wile transferring the wine to decanter.